Samsung just announced their new smartphone the Samsung Galaxy Grand 2 which is the successor to the old Galaxy Grand. Samsung Galaxy Grand was a great smartphone in terms of specs and price; it was almost like a budget phone with a big screen. 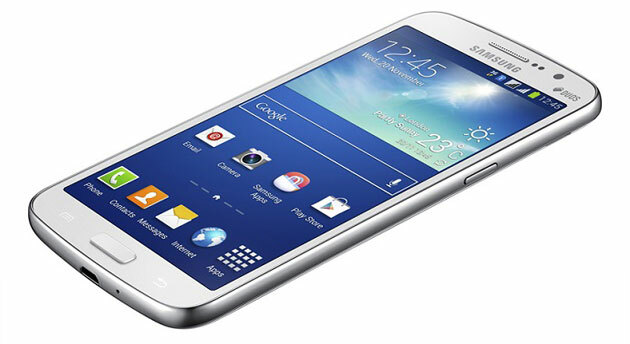 Samsung Galaxy Grand 2 will have double the specs of Galaxy Grand. It’s a dual sim smartphone both GSM and will come with Android 4.3 right out of the box. It will have an HD screen now instead of a normal screen with a resolution of 720×1280. Samsung Galaxy Grand 2 will come with a quad-core 1.2 GHz processor and on top of that a 1.5 GB RAM to run all your apps and stuff smooth and without any lag. It has got two cameras a rear facing and a front facing camera. The rear facing camera will be 8MP with LED while the front facing camera will be 1.9 MP. Other than that it will come with a 2600mAh battery. Samsung Galaxy Grand 2 will come in three colors Black, Pink and White. The more color options will also enable Samsung gain that missed spot in the market that was create due to limited colors of majority of the Samsung smartphones (being available only in pebble blue and white color). On top of everything, Samsung is also deciding to preload some of its popular apps onto the Galaxy Grand 2 that are famous on their flagship smartphones, the Galaxy S4 and the Note 3 like S translator, S guide, Story album, Sound and shot, Samsung hub, Samsung link and the latest group play features that is also found in Galaxy S4. With all the popular apps and the updated hardware we are sure Galaxy Grand 2 will also be a successful smartphone like its predecessor the Galaxy Grand. Hopefully it will also be cheap and affordable like its Galaxy Grand, and with hardware and a screen size that big looks like Samsung is trying to place it with their two best smartphones at the moment the Galaxy S4 and the Note 3. There are no details on when the smartphone will be release and what will be the price tag yet. Design of Samsung grand 2 is very similar to Galaxy Note 3. Isn’t it?